GRAMMY Award-winning artist Francesca Battistelli releases her new single today titled "Defender" along with a lyric video. "Defender" is Battistelli's second radio single from her latest album, Own It (Curb | Word Entertainment), and follows her top ten hit "The Breakup Song." Read More GRAMMY Award-winning artist Francesca Battistelli releases her new single today titled "Defender" along with a lyric video. "Defender" is Battistelli's second radio single from her latest album, Own It (Curb | Word Entertainment), and follows her top ten hit "The Breakup Song." Written by Rita Springer, Steffany Gretzinger, and John-Paul Gentile, "Defender" (which also features guest vocals from Gretzinger) is already being sung in churches around the globe. The popular single is also poised to become another landmark song in Battistelli's career, following in the footsteps of her GRAMMY-winning and multi-week chart-topping single "Holy Spirit." The passionate theme of "Defender" declares that the Lord fights our battles for us, referencing Exodus 14:14, "The Lord will fight for you; you need only to be still." Battistelli recalls the moment when she heard the song for the first time, "When Rita sang the words 'All I did was praise, all I did was worship,' it hit me like a ton of bricks. The idea that all we have to do is stay still while He fights our battles? I had always known it intellectually, but that was the first time I knew it in my spirit. There is something so special about this song, and I'm honored to sing it." 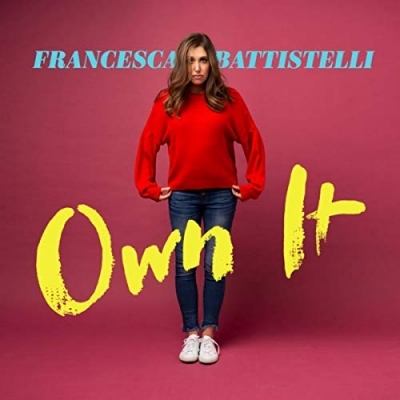 Fans will get to hear the new single live when Battistelli embarks on her headlining run of "The Own It Tour," which kicks off March 21 in Washington, D.C. and wraps April 14 in Tucson, AZ. It's sure to be an evening to remember, as Battistelli will share songs from her new album along with some of her biggest hits and fan favorites. The tour will hit major markets such as Houston, Dallas, Denver, Seattle, and throughout California, and feature special guests Stars Go Dim and Elle Limebear. 'This Is The Stuff' is the new music video taken from the album 'Hundred More Years', which is the second highly anticipated album from Dove award winning artist Francesca Battistelli.